Pay tribute to the state you call home with our Custom State Pride Can Coolers. Personalized collapsible can huggers make a custom favor as a memento of your blessed day! 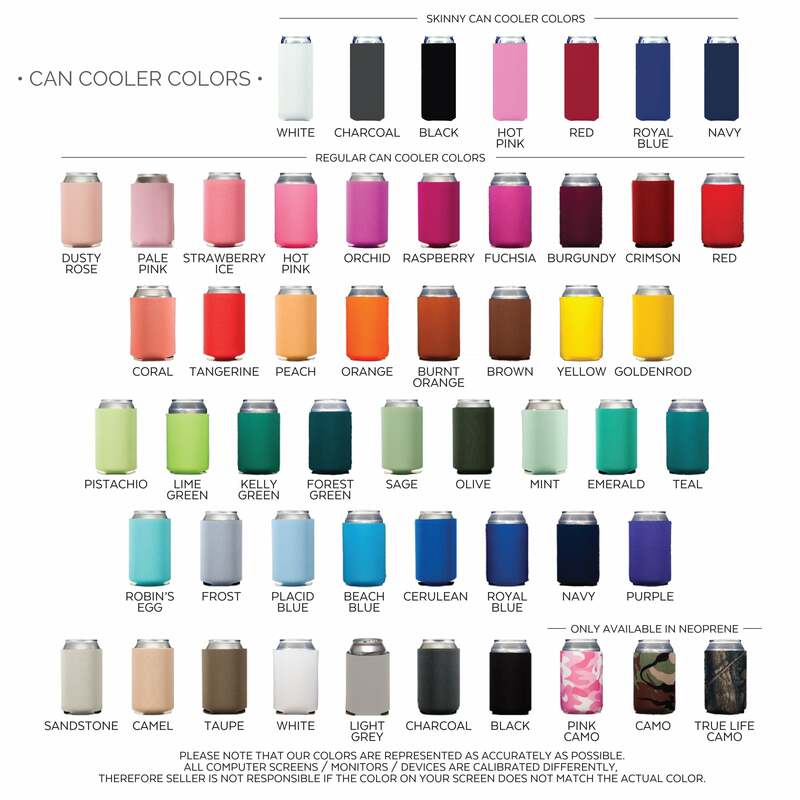 Each can cooler is printed with your state silhouette on one side and a heart containing your names on the reverse side. These are a thoughtful touch at wedding receptions, BBQ's, birthdays, rehearsal dinners and more.